A stunning looking necktie from designer Cavallieri. 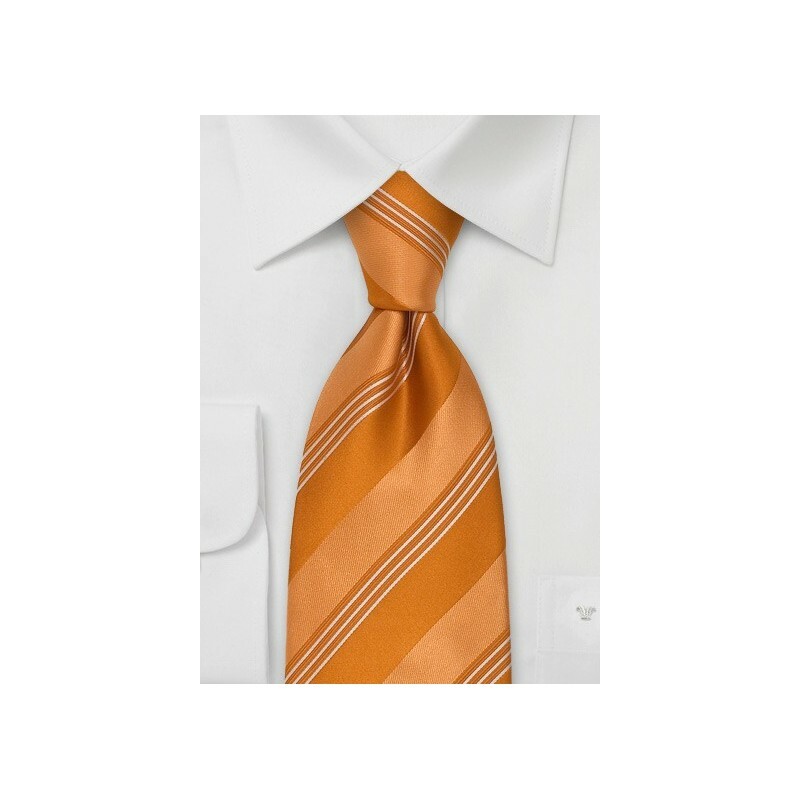 This modern-Italian necktie design that consists of fine and wide stripes is complimented with a fashionable Apricot color. Cavallieri ties are handmade from the finest silk fabric available. Cavallieri is known for their modern Italian necktie designs . 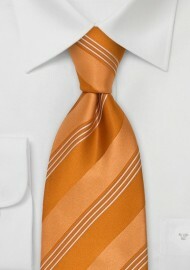 Most common are their diagonal striped neckties in fresh/warm colors. Handmade from pure silk. Length: 58", Width: 3.5"